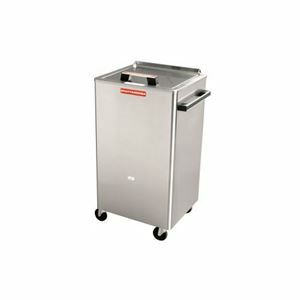 Hydrocollator SS2 with 8 Standard HotPacs,Five cubic feet of spacious capacity! Five cubic feet of spacious capacity! Specially designed heating unit to maintain steam packs in water at the right temperature. Constructed in stainless steel and thermostatically controlled. No plumbing necessary. Operates on 115 volts AC. Standard size steam packs are included with the heating unit. 15.5 x 20.75 x 33"